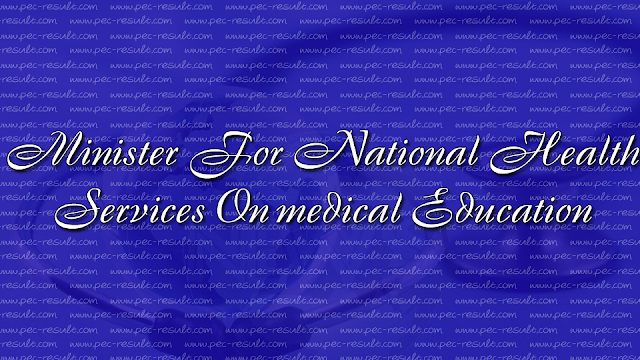 In Pakistan, the quality of education in general and specifically of medical education is a thing to worry. The privatization of medical education and this new wave of medical colleges have threatened the merit. Heavy donation can make a way for you in a medical private college. In the past government, a government personality is believed to be involved in the controversial decision to allow the establishment of private medical college without the teaching hospital facility that was necessary before it. The minister of state for national health services, Saira Afzal Tarar said that we have to improve the quality of medical education in our country. She was chairing a meeting on matters related to medical education and its quality. Other participants of the meeting also presented their views on the steps that should be taken for improving the education quality in medical sector. In the meeting, after discussing on various ideas and views, it is decided that eligibility criteria would be followed in all public and private colleges strictly so that below standard education and doctor could be avoided. It is also decided that admission policy would be revised according to the recent demands for the betterment and only merit will be the criteria in both private and medical colleges for admission. The entry test would be central in all provinces and on federal level and colleges would be bound to follow the merit list issued by their respective affiliated institution for admissions. The minister of National Health Service also said that curriculum change will be upgraded according to needs of future and doctors would also be appointed in deprived regions for serving the communities there. The issue of standardization and transparency of NEB exams for the foreign graduate doctor was also come in discussion. Minister also stressed on the need for the steps to be taken so that faculty deficiency could be fulfilled especially in basic science subjects for improving the education. It the meeting, it is discussed that private medical colleges will be bound to open colleges in those localities, where there is a need for such facilities. Pakistan medical and dental council will closely monitor the fee structure for private medical institutions and if there will be any complaint for overcharging, PMDC will act immediately. The minister also said that we have to train the inspectors so that they could be able to inspect the medical colleges and its faculty according to international standards. She also added that quota of foreign seats will be filled with transparency and Pakistan medical and dental council have to ensure the merit in the admissions on foreign seats.